At Lara United FC we aim to keep our fees affordable for our players. Below are our fees for Season 2019 which we have had to increase from Season 2018, the main cause being the cost of hiring training venues. We thank all of our club sponsors who help us keep fees at an affordable level. We also thank all of our members & supporters who have supported our club fundraisers in the past & we hope this continues in 2019. Remember to try to get support from outside the club whenever possible so we are not always asking our members for money. Via our club management system, Majestri, we are able to offer payment plans that you can start paying off at any time, 30 percent of the total owed to be paid up front, & then you can nominate the amount & frequency once that is paid. For 2019 Majestri will be offering 2 payment days per week, Tuesday & Friday. Please note that fees will apply if your direct debit fails. We are also able to take payment via the following methods - EFT, online via Majestri, cash or direct deposit. Registration night for Season 2019 will be Wednesday 6th February, 5.30-8pm at our clubrooms. We ask that all players, including senior players pay at least their club membership by this date to enable us to judge what teams we are able to enter for 2019 competitions. 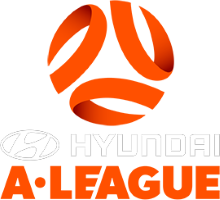 State League players will need to pay the assocation fees component of their registration before being approved to play in State League pre-season competitions. State League Men: $415 registration fee plus $35 membership fee per player. ($203 assoc. fees payable prior playing in official pre-season comp. matches). State League Women: $390 registration fee plus $35 membership fee per player. ($187 assoc. fees payable prior to playing in official pre-season comp. matches). Local Men & Local Women: $365 registration fee plus $35 membership fee per player. Juniors: $300 registration fee per player plus $40 family membership fee for the first junior or miniroo player of each family only. Miniroos: $210 registration fee per player plus $40 family membership fee for the first junior or miniroo player of each family only. All Abilities Senior: $30 registration fee plus $35 membership per player. All Abilities Junior: $20 registration fee plus $40 family membership for the first junior or miniroo player of each family only. Please note that for Season 2019 medical forms will not be required to be completed. Please note any medical alerts in Majestri in the relevant section. Parents / guardians with children with medical alerts are expected to be on hand at training at games in case of emergency. It is club policy that all miniroo parents should be present for the duration of training in case of emergency. No miniroo or junior player should be walking back to cars before or after training unaccompanied by a parent. The club is happy to provide a letter introducing the club & any individual player who would like to approach a business about individual sponsorship, please email the club if this is something you require & we will arrange. 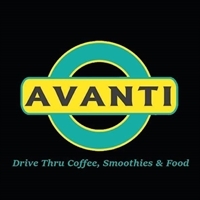 Great for those cold soccer days, see Leah & the team at Avanti drive through coffee for a great warm up drink and / or snack. Location: 35 McClelland Avenue, Lara. Also stop in at the newly opened outlet at 174 Cox Road for those away games at Rangers & Bell Park. Avanti have awarded vouchers for junior player of the day for a number of seasons which we greatly appreciate.